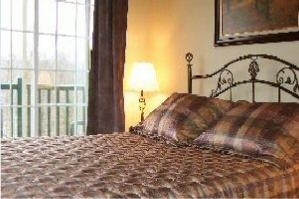 This beautiful holiday condo rental is located a few minutes from the slopes of Tremblant - the no. 1 resort in Eastern North-America - and surrounded by the most prestigious golf courses, Tremblant welcomes you in its spectacular country-style setting you\'d find among the best European resorts. 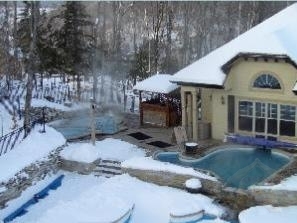 Nestled on a secluded mountain top in the majestic Laurentian mountains of Quebec, Canada, close to the charming Mont-Tremblant Village, with easy access from the Montreal International and the Tremblant International Airports. 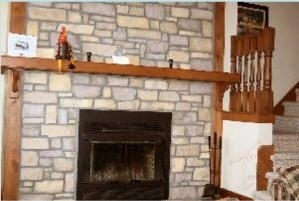 Settle into the warmth and welcoming atmosphere of your Cap Tremblant vacation home, we offer 1-2-3-4-5 bedroom vacation condo rental units each with a fully-equipped kitchen, natural fire place, and vast and luxurious living areas that open onto a spacious terrace with panoramic views. Convenient amenities such as high-speed wireless Internet access and cable TV make this the perfect place for family gatherings. When it\'s time to play, refresh yourself with our on-site swimming pool, whirlpool, steam bath and aqua-slide. Relax with a body treatment or massage. Or indulge in the endless array of outdoor activities including skiing, tennis, golf, skiing, biking, sailing, rafting, luge and hiking. Treat yourself to spectacular family activities throughout the year; golf the area\'s renowned courses, discover the National Park, paradise of the wilderness and fishing amateurs, or stroll around the charming Mont-Tremblant Village and its collection of restaurants, boutiques and specialty sports stores. For breathtaking mountain and lake views, endless outdoor recreation and activities, spacious family accommodations and the ultimate in peace and tranquility - look no further than Cap Tremblant. Perched in a forested mountain top setting, minutes drive to Mont-Tremblant resort, the summit offers exceptional views of both Tremblant and Lac Mercier . Professionally decorated, in pine and maple furniture, the rustic ambiance of this cherished vacation home rental has to be seen to be believed. 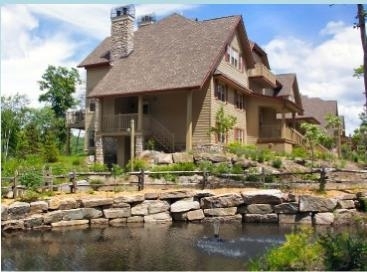 Unique features include a very large out door mountain top swimming pool, a 4-season outdoor hot tub and a private tennis court. 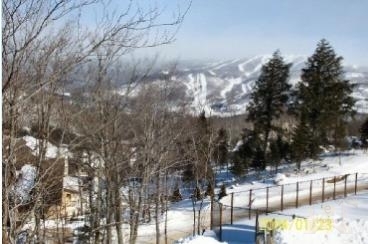 Location overlooking Old Tremblant Village, a short 5 minute drive to lifts and free shuttle to mountain base. Enjoy the quiet serenity of the Old Village with its shops and restaurants. This holiday condo rental offers many other amenities including parking for 2 cars, free private shuttle service throughout Tremblant and is a short walk to the beach at Lac Mercier.